AD: Alzheimer’s Disease; ATP: Adenosine Triphosphate; CoQ; Coenzyme Q; CoQ10: Coenzyme Q10; DNA: Deoxyribonucleic Acid; HbA1C: Glycosylated Haemoglobin; HD: Huntington’s Disease; PD: Parkinson’s Disease; ROS: Reaction Oxygen Species. A coenzyme is a simple molecule that is essential for the normal function of specific enzyme systems in our cells. Coenzyme Q (CoQ) is a naturally occurring vitamin like molecule formed from the conjugation of benzoquinone ring with a substituted prenyl side chain of varying chain length among different species including bacteria, plants and animals. Coenzyme Q10 (CoQ10) (1) (Figure 1)  is lipid soluble and a cofactor for three large enzyme systems which are essential for human cellular energy production. CoQ10 is a component of electron transport chain and participates in aerobic respiration for generating energy in the form of adenosine triphosphate (ATP). In humans, CoQ10 (1) is essential for cellular production of ATP, the basic source of energy for the cellular metabolism. Ninety-five present of the human body’s energy requirement is met by generating ATP through aerobic glycolysis. Therefore, the organs with utmost energy needs like heart, kidney and liver have the highest concentrations of CoQ10 (1) [2-5]. Nevertheless, CoQ10 (1) is necessary as an antioxidant to neutralize harmful free radicles and protects the endothelium, the inner lining of the blood and lymph vessels. CoQ10 (1) is a potent free radical scavenger in lipid and mitochondrial membranes. It is mostly present in the phospholipid bilayer of the inner membrane of the mitochondria. Besides, it is present in all the biological membranes and plasma lipoproteins. Its omnipresent nature gave the name ubiquinone. CoQ10 (1) supplementation reduced cardiovascular, fibromyalgia, diabetes mellitus, cancer, male infertility, periodontal, mitochondrial and neurodegenerative diseases . Ubiquinol (2) (Figure 1), an electron-rich (reduced) form of CoQ10 (1) with an increased polarity showed improvement in its absorption and bioavailability . Figure 1: CoQ10 (1) and ubiquinol (2). CoQ10 (1) levels diminish with advancing age and contribute to some of the symptoms associated with aging. The mitochondria have a close relationship with the aging process. The decrease of CoQ10 (1) levels during aging could be one of the main reasons to develop chronic diseases in the aged. CoQ10 (1) is involved in multiple cellular processes including proper uptake of CoQ10 (1) into cells which is crucial for the improvement of cell activity during aging . The dietary supplementation of CoQ10 (1) can be a key strategy to improve the health in the elderly. CoQ10 (1) levels are particularly high in organ meats such as kidney, liver, heart, beef, soy oil, sardines, mackerel and peanuts. Nevertheless, meat and fish are the richest sources of dietary CoQ10 (1) . The CoQ10 (1) levels present in some of the foods are shown in Table 1. Table 1: CoQ10 (1) contents in various foods. After the age of 35 years, the organisms begin to lose the capacity to synthesize CoQ10 (1) which results in its deficiency. In such circumstances, CoQ10 (1) supplementation alone or in combination with other nutritional supplements may help maintain health and treat some of the health problems. Therefore, CoQ10 (1) finds its usage in food, cosmetic and pharmaceutical industries. The accumulation of indiscriminate damage to genetic material and other critical cellular structures results in many neoplastic alterations. For this and other reasons, cardiovascular and other pathological states such as cancer and neurodegenerative diseases are considered as “diseases of aging”. Several compartments of immune system are affected by the cellular breakdown throughout the aging process. The CoQ10 (1) supplementation improved deoxyribonucleic acid (DNA) repair enzymes and reduced the age related complications and mortality . Oxidative stress plays an important role in pathogenesis of cardiovascular diseases including heart failure and hypertension in the elderly. The heart muscle uses more energy than any other tissue, normally has the highest concentration of CoQ10 (1) and is very sensitive to CoQ10 (1) deficiency. The weakening of heart muscle causes swelling in the liver, lungs, the lining of intestine, the lower legs and feet. Heart failure is characterized by a loss of contractile function due to energy depletion in mitochondria associated with low CoQ10 (1) levels. Many studies have searched the benefit of CoQ10 (1) supplementation for improving cardiovascular function through increased energy production, contractility of cardiac muscles, antioxidant activity and prevention of low-density lipoproteins oxidation. Two important studies reported significant benefits of CoQ10 (1) on heart failure of various causes [10,11]. Dilated cardiomyopathy is a form of cardiac muscle disease characterized by ventricular dilation, contractile dysfunction and eventual congestive heart failure. The CoQ10 (1) oral supplementation ameliorated cardiac contractility and endothelial dysfunction . CoQ10 (1) is found to be highly concentrated in the heart muscle cells because of the high energy requirements of this cell type. The congestive heart failure has been strongly linked to low blood and tissue levels of CoQ10 (1). The treatment with CoQ10 significantly improved the heart muscle function while producing no adverse effects or drug interactions [13-15]. Various antihypertensive drugs display adverse side effects such as depression, renal as well as cardiac dysfunction and cough . CoQ10 (1) supplementation reduced the need to take multiple antihypertensive drugs . Nitric oxide relaxed peripheral arteries thereby lowering blood pressure. In some types of hypertension, superoxide radicles which inactivate nitric oxide are over produced. CoQ10 (1) with its antioxidant property prevented the inactivation of nitric oxide by these free radicles. 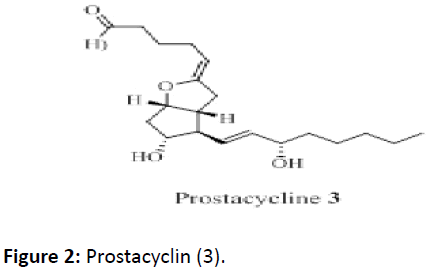 Simultaneously, CoQ10 (1) either boosted the production of prostacyclin (3) (Figure 2), a potent vasodilator and inhibitor of platelet aggregation or increased the sensitivity of arterial smooth muscles to prostacyclin (3) . Periodontal infection is an inflammatory illness resulting from the interaction of a bacterial attack and host inflammatory response. Periodontal pathogens induced reaction oxygen species (ROS) production and caused collagen as well as periodontal cell breakdown. The scavenging activity of antioxidants against ROS resulted in the reduction of collagen degradation. Ubiquinol10 (2), a reduced form of CoQ10 (1), acted as an endogenous antioxidant which increased the concentration of CoQ10 (1) in the disease gingiva and efficiently suppressed periodontal inflammation . Atherosclerosis is a specific form of arteriosclerosis where an artery wall thickens as a result of invasion and accumulation of white blood cells and proliferation of intimal-smooth- muscle cells creating fibro-fatty plaque. The wall stiffening increased pulse pressure causing dysfunction in the major arteries [19,20]. Oxidation of low density lipids (LDL) is linked to atherogenesis and selective antioxidants curb atherosclerosis. Ubiquinol10 (2) inhibited LDL peroxidation in vitro. CoQ10 (1) displayed a direct anti-atherogenic effect in apolipoprotein E deficient mice fed with a high fat diet . CoQ10 (1) supplementation increased the concentrations of ubiquinol10 (2) in plasma and in all of its lipoproteins. A single dose of 100-200 mg of CoQ10 (1) raised the total plasma coenzyme by 80-150%. Long term supplementation resulted in four fold increase of ubiquinol10 (2) in plasma and LDL. However, the rate of lipid oxidation increased noticeably with the disappearance of 80 to 90% of ubiquinol10 (2). Therefore, oral supplementation with CoQ10 (1) increased ubiquinol10 (2) in the plasma and lipoproteins thereby improving the resistance of LDL to radical oxidation . CoQ10 (1) supplementation reduced the oxidative stress and inflammatory marker IL-6 while increasing antioxidant enzyme activity in atherosclerosis patients [23,24]. Diabetes is a chronic metabolic disorder responsible for major health problems worldwide. It is characterized by absolute or relative deficiencies in insulin secretion or action. Diabetes is associated with chronic hyperglycemia and disturbances of carbohydrate, lipid and protein metabolisms. The oxidative stress was a major cause in the pathogenesis of this complex metabolic disorder which encouraged the use of antioxidants as a complementary therapeutic approach . Serum CoQ10 (1) levels in diabetic patients often decreased and associated with subclinical diabetic cardio-myopathy which was reversed by CoQ10 (1) supplementation . CoQ10 (1) therapy raised plasma CoQ10 (1) levels, improved endothelial function in the brachial artery, and markedly decreased both systolic/diastolic blood pressures as well as glycosylated hemoglobin (HbA1C). CoQ10 (1) intake in combination with fenofibrate markedly improved both endothelial and non-endothelial vasodilation. CoQ10 (1) improved nerve conduction parameters of diabetic polyneuropathy and reduced oxidative stress without any adverse effects . CoQ10 (1) improved beta cell function and increased insulin sensitivity which reduced insulin requirements for diabetic patients . Hypercholesterolemia is an important component affecting a significant part of the aging population . Statins treatment reduced CoQ10 (1) biosynthesis in hypercholesterolemia patients. The depletion of CoQ10 (1) accounted for statininduced myopathies and rhabdomyolysis . Furthermore, statins showed side effect of energy depletion with exceptional fatigue. However, CoQ10 (1) treatment prevented the myopathic side effects of statin drugs . Parkinson’s disease is a long-term degenerative disorder of the central nervous system that mainly affects the motor system. The symptoms in generally develops over time. The most obvious early symptoms are shaking, slowness of movement, rigidity and default with walking. Sometimes they are associated with thinking and behavioral problems. In the advanced stage of the disease dementia, depression and anxiety becomes very common. CoQ10 (1) levels were remarkably low in the blood, platelet-mitochondria and plasma of Parkinson’s disease (PD) patients [31,32]. Recently, CoQ10 (1) therapy reduced the cellular pathophysiological alterations associated with mitochondrial dysfunction in PD patients . In addition, CoQ10 (1) played a major role in the cellular dysfunction in PD patients . Huntington’s disease (HD) is a neurodegenerative genetic disorder caused by an expansion of CAG repeats in the HD gene encoding for Huntington. This results in progressive death of striatal neurons with symptoms of chorea, dementia and dramatic weight loss as a result of metabolic and mitochondrial dysfunction . CoQ10 (1) treatment reduced markers of oxidative stress responsible for HD in the patients . Alzheimer’s, a degenerative disease, is the most common form of dementia, a general term for memory loss and intellectual abilities serious enough to interfere with daily life. Amyloid β peptides were the main components of the amyloid plaques, a crucial cause of Alzheimer’s disease. The amyloid plaques were responsible for the degeneration of nerve cells resulting in Alzheimer’s. Alzheimer’s disease (AD) was associated with oxidative damage caused by mitochondrial dysfunction . CoQ10 (1) was neuroprotective with the protection of oxidative damage and attenuation of mitochondrial dysfunction . There were no differences in serum CoQ10 (1) levels between hyperlipidemic and normolipidemic elderly women . However, decreased levels of CoQ10 (1) were found in plasma of women’s cancerous breast tissue correlated with a worse prognosis . CoQ10 (1) treatment resulted in tumor regression and disappearance of diagnosed metastases and approximately 1-3 years later metastases did not reappear [39,40]. In melanoma patients with and without metastasis, plasma CoQ10 (1) levels were significantly low associated with primary tumor thickness. Cancerous cells mainly depended on anaerobic glycolysis (Warburg effect) for the ATP production. The mitochondrial dysfunction could be attributed to low concentrations of CoQ10 (1) in cancerous tissues [40,41]. The patients of cervical intra-epithelial neoplasia and cervical cancer displayed low plasma levels of CoQ10 (1) . Supplementation of CoQ10 (1) prevented cardiac damage, liver toxicity, diarrhoea and stomatitis without decreasing the therapy effectiveness during chemotherapy with doxorubicin (4) (Figure 3) [43,44]. Chemotherapeutic drugs such as doxorubicin (4), camptothecin (5), etoposide (6), and methotrexate (7) (Figure 3) induced an increase in CoQ10 (1) levels in cancer lines by up regulation of CoQ7, CoQ4 and CoQ8 gene expression to protect from free radical damage . Hence, foods and beverages containing CoQ10 (1) had been proposed for preventing cancer and mitigating the adverse reactions of cancer . 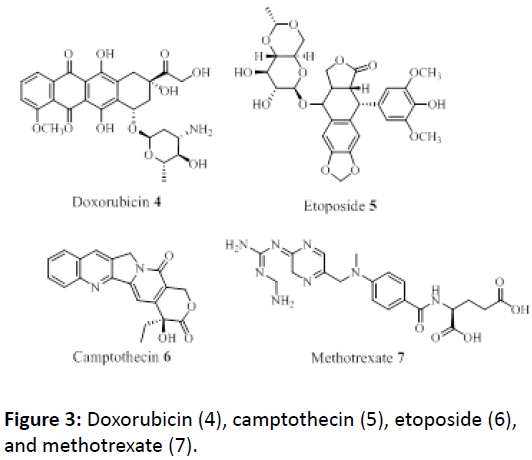 Figure 3: Doxorubicin (4), camptothecin (5), etoposide (6), and methotrexate (7). Generally, no toxicity was observed with high doses of CoQ10 (1). A daily dosage of 36 g was tolerated by both healthy as well as unhealthy subjects. Long-term trails of CoQ10 supplementation in doses up to 600mg per day with eight years follow-up reported no toxic effects in patients with cardiovascular disease. However, some adverse effects of CoQ10 (1), largely gastrointestinal were observed with very high intake [47-49]. Coenzyme Q10 (CoQ10) (1) is a nutritional supplement available over the counter easily. CoQ10 (1) is an important antioxidant used by the body to delay the progression of diseases. CoQ10 (1) improves endothelial dysfunction and increases the cardiac ATP production. CoQ10 (1) ability to improve the energy production and antioxidant defence in every cell of the body has brought about many remarkable and unexpected improvements in all aspects of human health. Intestinal absorption of dietary CoQ10 (1) is very limited. However, ubiquinol10 (2), a reduced form of CoQ10 (1) has a better intestinal absorption for bioavailability. The injection of relatively large doses of CoQ10 (1) increased CoQ10 (1) concentrations in heart and brain mitochondria in rodent models . Therefore, less hydrophobic derivatives and formulations of CoQ10 (1) with better pharmacokinetics are emerging as promising drugs for mitochondrial dysfunction. Idebenone and MitoQ were evaluated for safety, efficacy and toxicity . Mortensen SA, Rosenfeldt F, Kumar A, Dolliner P, Filipiak KJ, et al. (2014) The effect of coenzyme Q10 on morbidity and mortality in chronic heart failure. JACC Heart Failure 2: 4641-649. Okamoto T, Matsuya T, Fukunga Y, Kishi T, Yamagami T (1980) Human serumubiquinol-10 levels and relationship to serum lipids. Int J Vitamin and Nutr Res 59: 288-292. Shindo Y, Witt E, Han D, Epstein W, Packer L (1994) Enzymatic and non-enzymatic antioxidants in epidermis and dermis of human skin. J Invest Dermatology 102: 122-124. Aberg F, Appeikvist EL, Dallner G, Ernster L (1992) Distribution and redox state of ubiquinones in rat and human tissue. Arch, Biochem and Biphysics 295: 230-234. Kalen A, Appelkvist EL, Dallner D (1989) Age-related changes in the lipid compositions of rat and human tissues. Lipids 24: 579-584. Garrido-Maraver J, Cordero MD, Oropesa-Avila M, Fernandez VA, de la Mata M, et al. (2014) Coenzyme Q10 therapy. Mol Syndromol 5:187-197. Hosoe K, Kitano M, Kishida H, Kubo H, Fujii K, et al. (2007) Study on the safety and bioavailability of ubiquinol (Kaneka QH) after single and 4-week multiple oral administration to healthy volunteers. Regul. Toxicol Pharmacol 47: 19-28. Pravst I, Zmitek K, Zmitek J (2010) Coenzyme Q10 contents in foods and fortification strategies. Critical Rev Food Sci Nutr 50: 269-280. Gutierrez-Mariscal SM, Perez-Martinez P, Delgado-Lista J, Yubero-Serrano EM, Camargo A, et al. (2012) Meditation diet suplimented with coenzyme Q10 induces postprandial changes in p53 in response to oxidative DNA damage in elderly subjects. Age 34: 389-403. Sander S, Coleman CI, Patel AA, Klujer J, White CM (2006) The impact of coenzyme Q10 on systolic function in patients with chronic heart failure. J Card Fail 12: 464-472. Langsjoen H, Langsjoen P, Willis R, Folkers K (1994) Usefulness of coenzyme Q10 in clinical cardiology: a long-term study. Mol Aspects Med 15: 165-175. Littarru GP, Tiano L (2007) Bioenergetic and antioxidant properties of coenzyme Q10; Recent developments. Mol Biotechnol 37: 31-37. Kaikkonen J, Tuomainen EP, Nyyssonen K, Salonen JT (2002) Coenzyme-Q10; Absorption, antioxidative properties, determinants and plasma levels. Free Radical Res 36: 389-397. Gazdik F, Pijak MR, Borova A, Gazdikova K (2003) Biological properties of Coenzyme 10 and its effects on immunity. Casopis Lekaru Ceskych 142: 390-393. Hadj A, Pepe S, Rosenfeldt F (2007) The clenical application of metabolic therapy for cardiovascular disease. Heart Lung Circ 16: 56-64. Pepe S, Marasco SF, Haas SJ, Sheeran FL, Krum H, et al. (2007) Coenzyme Q10 in cardiovascular disease. Mitochndrion 7: 154-167. Lonnrot K, Porsti I, alho H, Wu X, Hervonen A, et al. (1998) Control of arterial tone after long-term coenzyme Q10 supplementation in senescent rats. Br J Pharmacol 124:1500-1506. Prakash S, Sunitha J, Hans M (2010) Role of coenzyme Q10 as an antioxidant and bienergiger in periodontal diseases. Ind J Pharmacol 42: 334-337. Russel R (1993) The pathogenesis of atherosclerosis; a perspective for the 1990s. Nature 362: 801-809. Hansson GK, Hermansson A (2011) The immune system in atherosclerosis. Nature Immunology 1: 204-212. Witting PK, Pettersson K, Letters J, Stocker R (2000) anti-atherogenic effect of coenzyme Q10 in apolipoprotein E gene knockout mice. Free Radic Biol Med 29: 295-305. Mohr D, Bowry VW, Stocker R (1992) Dietary supplementation with coenzyme Q10 results in increased levels of ubiniquinol-10 within circulating lipoproteins and increased resistance of human low-density lipoprotein to the initiation of lipid peroxidation. Biochim Phiphys Acta 1126: 247-254. Lee BJ, Huang YC, Chen SJ, Lin PT (2012) Coenzyme Q10 supplementations reduces oxidative stress and increases antioxidant enzyme activity in patients with coronary artery disease. Nutrition 28: 250-255. Lee BJ, Huang YC, Chen SJ, Lin PT (2012) Effects of coenzyme supplementation on inflammatory markers (high-sensitivity C-reactive protein, interleukin-2, and homcysteine) in patients with coronary artery disease. Nutrition 28: 767-772. Goldibi S, Ebadi SA, Laher I (2011) Antioxidants in the treatment of diabetes. Curr Diabetes Rev 7: 106-125. Miyake Y, Shouzu M, Nishikawa M, Yonemoto T, Shimizu H, et al. (1999) Effect of treatment with 3-hydroxy-3-methylglutaryl coenzyme A reductase inhibitors on serum CoQ10 in diabetic patients. Arzneimittelforschung 49: 324-329. Hernandez-Ojeda J, Cardona-Munoz EG, Roman-Pintos LM, Troyo-Sanroman R, Ortiz-Lazareno PC, et al. (2012) The effect of ubiquinone in diabetic polyneuropathy; a randomized double-blind placebo-controlled study. J Diabetes Complications 26: 352-358. Hodgson JM, Watts GF, Playford DA, Burke V, Croft KD (2002) Coenzyme Q10 improves blood pressure and glycaemic control: a control trail in subjects with type 2 diabetes. Eur J Clin Nutr 56: 1137-1142. Hargreaves IP, Duncan AJ, Heales SJ, Land JM (2005) The effect of HMG-CoA reductase inhibitors on coenzyme Q10; possible biochemical/clinical implications. Drug Saf 28: 659-676. Golomb BA, Evans MA, Dimsdale JE, White HL (2012) Effects of statins on energy and fatigue wit exertion; results from a randomized controlled trail. Arch Intern Med 172: 1180-1182. Shults CW, Haas RH, Passov D, Beal MF (1997) Coenzyme Q10 levels correlate with the activities of complexes I, II/III in mitochondria from parkinsonian and non-parkinsonian subjects. Ann Neurol 42: 261-264. Sohmiya M, Tanaka M, Tak NW, Yanagisawa M, Tanino Y, et al. (2004) Redox status of plasma coenzyme Q10 indicates elevated systematic oxidative stress in Parkinsos’s diseae. J Neurol Sci 223: 161-166.
Cooper O, Seo H, Andrabi S, Guardia-Laguarta S, Graziotto J, et al. (2012) Pharmacological rescue of mitochondrial deficits in iPSC-derived neurl cells from patients with familial Parkinson’s disease. Sci Transl Med 4: 141-190. Naia L, Ribeiro MJ, Rego AC (2011) mitochondrial and metabolic based protective strategies in Huntingtn’s disease; the case of creatine and coenzyme Q. Rev Neuro Sci 23: 13-28. Stack EC, Matson WR, Ferrante RJ (2008) Evidence of oxidant damage in Huntington’s disease. Transitional strategies using antioxidants. Ann N Y Acad Sci 1147: 79-92. Wadsworth T, Bishop JA, Pappu AS, Woltjer RL, Quinn JF (2008) Evaluation of coenzyme Q as an antioxidant strategy for Alzheimer’s disease. J Alzheimers Dis 14: 225-234. Lee J, Boo JH, Ryu H (2009) The failure of mitochondria leads to neurodegeneration; do mitochondria need a jump start? Adv Drug Deliv Rev 61: 1316-1323. Jolliet P, Simon N, Barre J, Pons JY, Boukef M, et al. (1998) Plasma coenzyme Q10 concentrations in breast Cancer; prognosis and therapeutic consequences. Int J Clin Pharmacol Ther 36: 506-509. Lockwood K, Moesgard S, Hanioka T, Folkers K (1994) Apparent partial remission of breast cancer in ‘high risk’ patients supplemented with nutritional antioxidants, essential fatty acids and coenzyme Q10. Mol spects Med 15: 231-240. Rusciani L, Proietti I, Rusciani A, Paradisi A, Sbordoni G, et al. (2006) Low plasma coenzyme Q10 levels as an independent prognostic factor for melanoma progression. J Am Acad Dermitol 54: 234-241. Gallagher R, Motohashi N, Vanam A, Gollapudi R (2017) Restricting anaerobic glycolysis reliance (Warburg effect): novel natural products based therapeutic strategy for cancer treatment. Arch. General Internal Med 1: 8-14. Palan PR, Mikhail MS, Shaban DW, Romney SL (2003) Plasma concentrations of coenzyme Q10 and tocopherols in cervical intraepethilial neoplasia and cervical cancer. Eur J Cancer Prev 12: 321-326. Domae N, Sawada H, Matsuyama E, Konishi T, Uchino H (1981) Cardiomyopathy and other chronic toxic effects induced in rabbits by doxorubicin and possible prevention by coenzyme Q10. Cancer Treat Rep 65: 79-91. 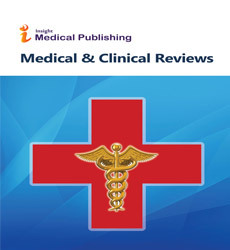 Roffe L, Schmidt K, Ernst E (2004) Efficacy of coenzyme Q10 for improved tolerability of cancer treatments; a systematic review. J Clin Oncol 22: 4418-4424. Brea-Calvo G, Rodriguez-Hernandez A, Fernantez-Ayala DJ, Navas P, Sanchez-Alkazar JA (2006) Chemotherapy induces an increase in Coenzyme Q10 levels in cancer cell lines. Free Radic Biol Med 40: 1293-1302. Villalba JM, Parrado C, Santos-Gonzalez M, Al-cain FJ (2010) Therapeutic use of coenzyme Q10 and coenzyme Q10 related compounds and formulations. Expert Opin Investig Drugs 19: 535-554. Hyson HC, Kieburtz K, Shoulson I, McDermott M, Ravina B, et al. (2010) Safety and tolerability of high-dosage coenzyme Q10 in Huntington’s disease and healthy subjects. Movement Disorders 25: 1924-1928. Langsjoen H, Langsjoen P, Langsjoen P, Willis R, Folkers K (1994) Usefulness of Coenzyme Q10 in clinical cardiology. : a long-term study. Mol Aspects Med 15: 165-175. Hathcock JN, Shao A (2006) Risk assessment for coenzyme Q10 (ubiquinone). Regulatory Toxicol Pharmcol 45: 282-288. Bhagavan HN, Chopra RK (2006) Coenzyme Q10: Absorption, tissue uptake, metabolism and pharmacokinetics. Free Radic Res 40: 445-453.